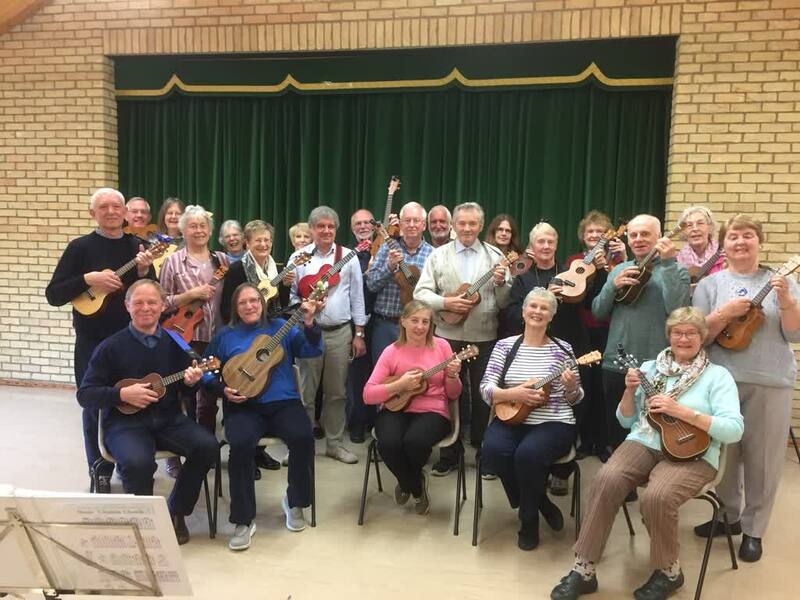 This thriving, vibrant, fun ukulele group has grown from its modest beginnings in 2013 when a small group met in the Committee Room at the Copford Village Hall, and has grown in popularity with now 45 plus happy ukers that meet weekly, all wanting to learn to play this wonderful but addictive little instrument - there is no limit on the number of members playing, all are welcome. 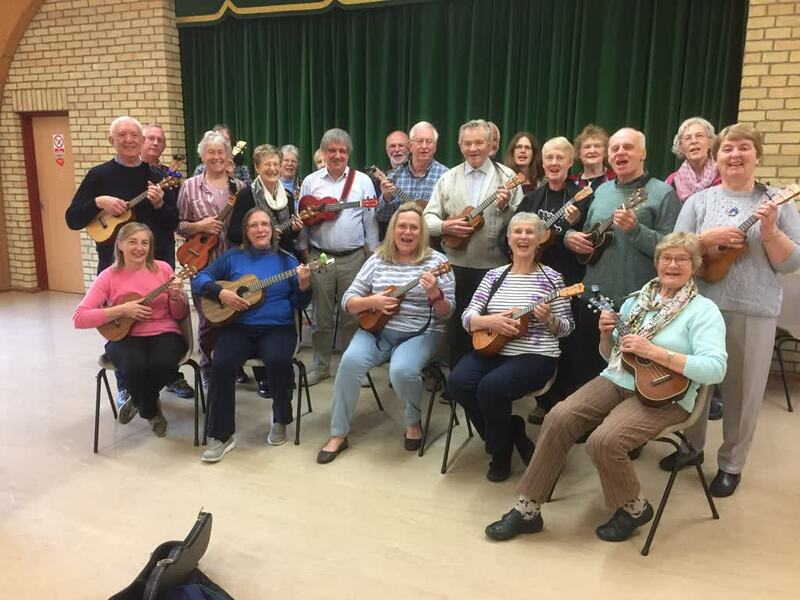 For both our groups you will need your own ukulele – usually a Soprano, Concert or Tenor. You are welcome to try out all three sizes prior to buying your own, and you will need a tuner – preferably electronic; and a music stand. The Group meets on Friday mornings 9:30 - 12:30 in the Copford Village hall where there is ample parking. We have two groups running simultaneously from 9:30 - 10:45am. The Intermediate/Advance Group in the Main Hall taken by Mary, here you will be stretched to learn new chords and strumming/fingerpicking techniques. No musical expertise is needed, just enthusiasm and a desire to enjoy playing, singing and having fun. 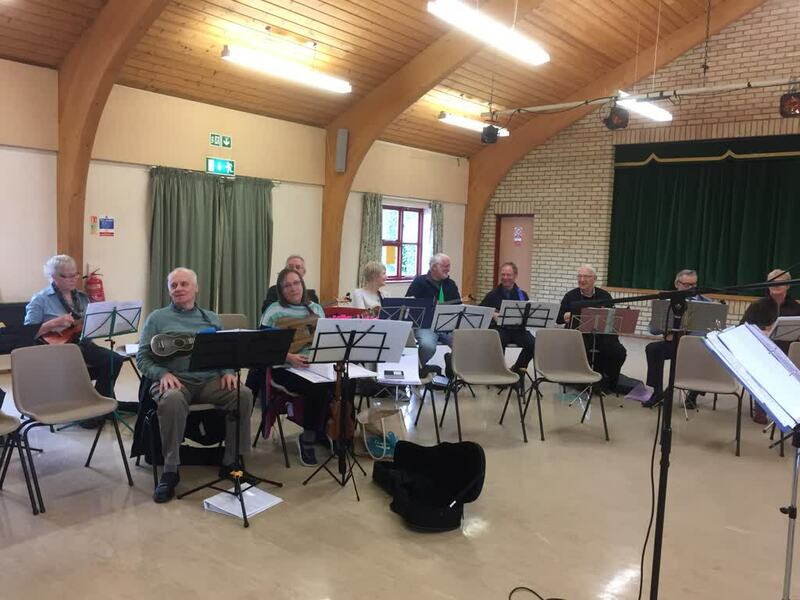 We are lucky that we have a few people in this group that have musical backgrounds and are happy to help if we need guidance when developing arrangements. We enjoy finding and developing many songs putting our own unique twist on them to best suit the uke and expand our songbook. We are always on the lookout for new material so all suggestions are welcome. Some members of this group have performed over the last 4 years in various venues, most recently at the D’Ukes fest 2017 held at the Arts Centre in Colchester, the Wivenhoe folk festival and various folk clubs. An even smaller number have performed at sheltered housing and lunch groups for the elderly. The most recent performance being the U3A Variety Show 2018. 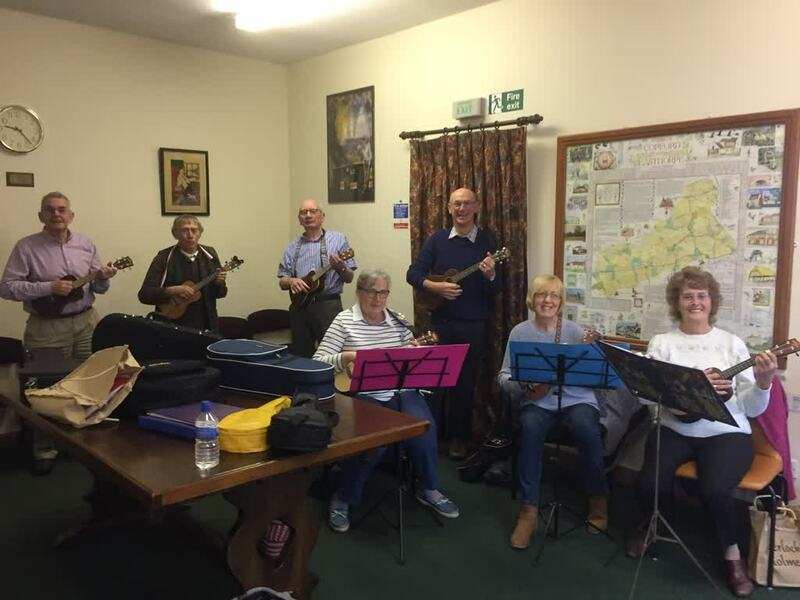 At 10.45am we break for tea/coffee and biscuits, and after the break a jamming session takes place where Keith and Mary can relax with a small number of advanced and eager members and new songs can be developed and arranged for the main group. If you would like more information about this group or to register your interest, please click on the Bluebird contact button at the side of the page and come along and have a go.